SMILE Eye Surgery: What's Different Than LASIK? Are you interested in laser surgery to correct your nearsightedness? In addition to LASIK, you now may have the option of a new laser procedure called SMILE. Here are the basics about SMILE laser eye surgery, which gained FDA approval for use in the United States in September 2016. SMILE is an acronym for SMall Incision Lenticule Extraction (which is a mouthful and not very easy to remember). In LASIK, a large opening is required to enable the excimer laser to reshape the underlying cornea. In SMILE, only a very small opening is needed (often less than 4 mm) to facilitate removal of the lenticule. SMILE laser eye surgery is performed using a VisuMax femtosecond laser, which is proprietary technology of Carl Zeiss Meditec. to create a small, lens-shaped bit of tissue (lenticule) within the cornea. Then, with the same laser, a small arc-shaped incision is made in the surface of the cornea, and the surgeon extracts the lenticule through this incision and discards it. With the tiny lenticule removed, the shape of the cornea is altered, correcting nearsightedness. The corneal incision heals within a few days without stitches, and sharper vision occurs very quickly. To date, more than 1 million SMILE procedures have been performed worldwide with few complications, according to Carl Zeiss Meditec. Research is showing SMILE produces virtually the same visual acuity as LASIK for the correction of nearsightedness, without the need to create a LASIK-style corneal flap. In one study of 328 people who underwent the SMILE procedure, all but one had uncorrected visual acuity (UCVA) of 20/40 or better after surgery, and 88 percent had UCVA of 20/20 or better. Also, it appears there may be less risk of dry eye symptoms after SMILE, compared with LASIK. There may be several reasons for this, including that because SMILE takes place within the cornea without a large corneal flap, fewer corneal nerves are affected by the procedure. The very small SMILE incision may also enable the cornea to have more biomechanical stability after SMILE, compared with its ability to maintain shape (especially following trauma) after LASIK. Finally, for correction of high amounts of nearsightedness, with LASIK there's a greater risk of needing an enhancement procedure to attain the clarity of vision desired without glasses. It appears there is less risk of needing an additional procedure after SMILE for correction of high amounts of myopia, possibly because less dehydration of the cornea occurs during the SMILE procedure. Are there any downsides to SMILE when compared with LASIK or PRK? For starters, SMILE can only correct nearsightedness, whereas LASIK and PRK can also correct significant amounts of farsightedness and astigmatism. Also, LASIK and PRK can treat higher-order aberrations (HOAs) that can affect night vision, whereas SMILE cannot. In fact, SMILE might increase HOAs to some degree. And if you have residual refractive error after a SMILE procedure and require additional vision correction, typically PRK would be the preferred enhancement procedure for best results. Finally, as with any newer vision correction surgery, it may be necessary for a surgeon to perform a significant number of SMILE procedures before he or she masters the surgical techniques required for optimum outcomes and minimal risks. Keep this in mind when considering SMILE (versus LASIK or other vision correction procedures) and discussing the procedure with your refractive surgeon. Most U.S. refractive eye surgeons charge approximately the same price for SMILE laser vision correction as they do for all-laser custom LASIK surgery — somewhere in the range of $2,000 to $3,000 per eye. A number of factors contribute to the total fee each surgeon charges, including the surgeon's experience, the practice location and whether follow-up exams and additional treatments (if needed) are included. Is SMILE Right For You? If you are nearsighted and meet the other criteria stated above, you might be a good candidate for SMILE laser vision correction. 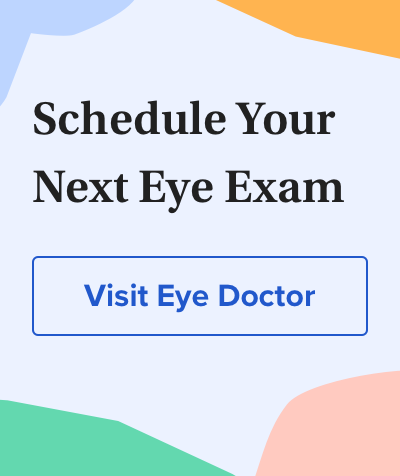 The next step is to have a comprehensive eye exam with your eye doctor and a consultation with a refractive surgeon. ZEISS celebrates 1 million SMILE laser vision correction procedures. Press release issued by Carl Zeiss Meditec. September 2017. Comparison of visual results and higher-order aberrations after small incision lenticule extraction (SMILE): high myopia vs. mild to moderate myopia. BMC Ophthalmology. July 2017. Intrastromal procedure favored for myopic treatment. Ophthalmology Times. June 2017. Comparative analysis of the clinical outcomes of SMILE and wavefront-guided LASIK in low and moderate myopia. Journal of Refractive Surgery. May 2017. One step, one laser: SMILE is a continuation of the refractive surgery revolution. EyetubeOD / Advanced Ocular Care. March 2017. Dry eye after small incision lenticule extraction (SMILE) versus femtosecond laser-assisted in situ keratomileusis (FS-LASIK) for myopia: a meta-analysis. PLoS One. December 2016. FDA approves VisuMax Femtosecond Laser to surgically treat nearsightedness. Press release issued by U.S. Food and Drug Administration. September 2016. Comparison of corneal sensation between small incision lenticule extraction (SMILE) and femtosecond laser-assisted LASIK for myopia. Journal of Refractive Surgery. February 2014. Mathematical model to compare the relative tensile strength of the cornea after PRK, LASIK, and small incision lenticule extraction. Journal of Refractive Surgery. July 2013.